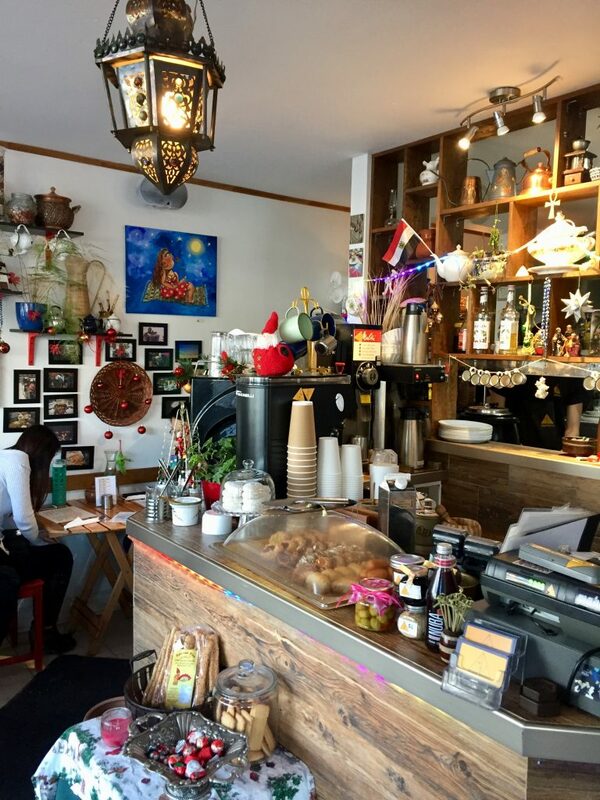 While out for a bike ride last fall, I passed by Maha’s on Greenwood Avenue, just north of Gerrard Street. If the mile-long line-up wasn’t an indication of its reigning Toronto brunch status, I don’t know what was. Naturally, I Googled and discovered its rising popularity. 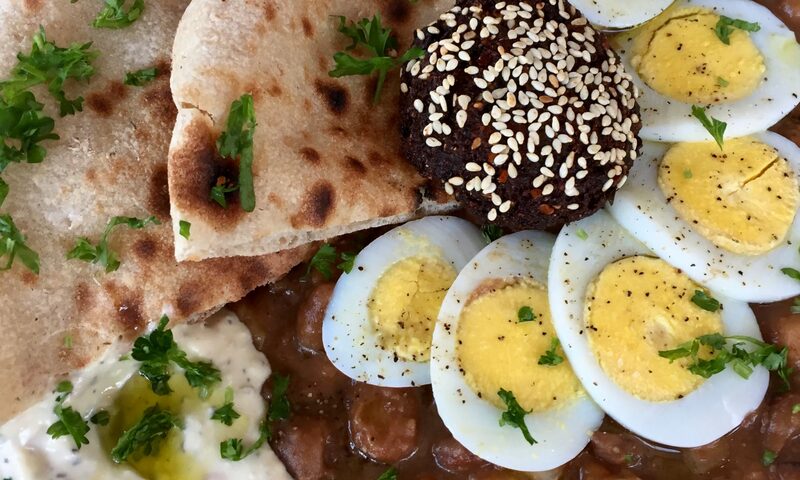 I learned that Torontonians flock from near and far to indulge in a new brunch niche—Egyptian. The more I read, the more intrigued I became. 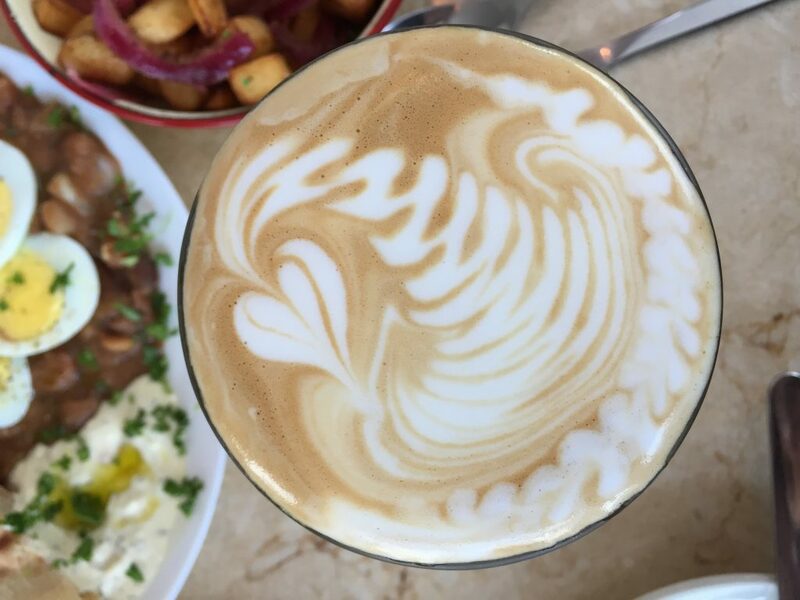 Maha’s, named after head chef Maha Barsoom, was born from a story of love and family tradition. Barsoom had always dreamed of having a bustling place where she could share her love of Egyptian food and culture with others. When her family emigrated from Egypt to Canada in 2000, cooking and feasting with family was the element that kept everyone together during the challenging transition. Barsoom’s children, Mark and Monika, were instrumental in helping their mother make her dream come true. In the fall of 2014, Maha’s opened for business. True to Egyptian culture, there was never a shortage of food at Maha’s. 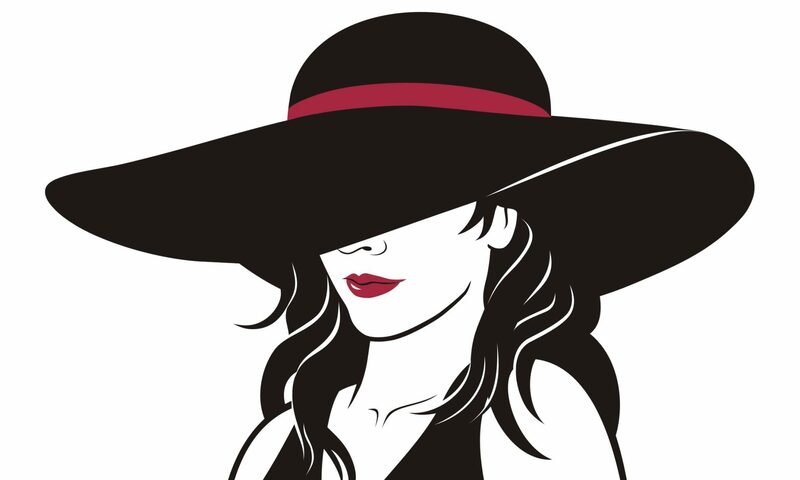 What I experienced was just like eating at someone’s kitchen table—from the authentic dishes to the excellent price-to-portion ratio. The service was friendly, but not overly so. 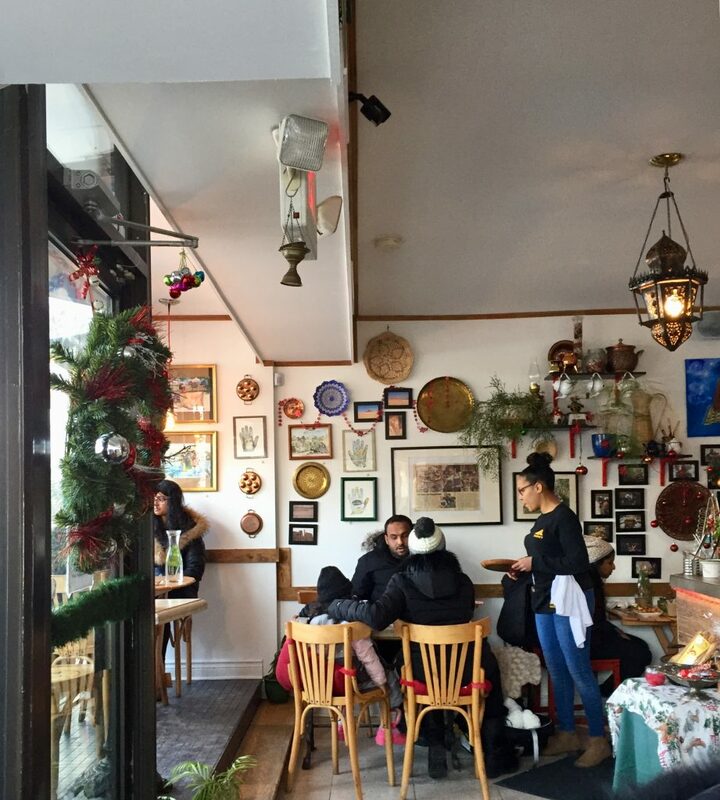 Although the small corner restaurant was in a somewhat undeveloped pocket, it didn’t stop brunch-goers from lining up—even in the frigid Toronto winter. And that’s exactly what I did one weekend when meeting une amie pour bruncher. After about 45 minutes of shivering, teeth-chattering and jumping up and down to generate body heat inside my down-filled parka, we were finally invited inside. Thank goodness the staff were attentive enough to pay a nod to the 25+ patrons waiting in the sub-zero temperatures by offering some karkadeh (sweet Hibiscus tea). It’s always busy at Maha’s! When I stepped into the restaurant, I could immediately tell from the lively chatter and smell of savoury spices, that it was a welcoming space. It was the right combination of homey, kitschy and authentic with potted plants, Egyptian hieroglyphs and art decorating the walls. There was even a “Kiss the Cook” sign. The open kitchen at the back was turning out delicious-looking plates that I couldn’t wait to enjoy. To bring my body temperature back up to normal, I started with a honey cardamom latté ($5.45). It arrived in a tall glass with a stunning foam design, likely by Monika, the artist in the Barsoom family. The slightly sweet, musty notes of cardamom weren’t too overpowering—as many foods with this spice tend to be. As I sipped the blissful concoction, we decided on some plates to share—a near-impossible task. Mon Dieu, que c’était difficile! The Cairo Classic ($14), number one on the menu, came highly recommended and every ingredient teased to my growling stomach. 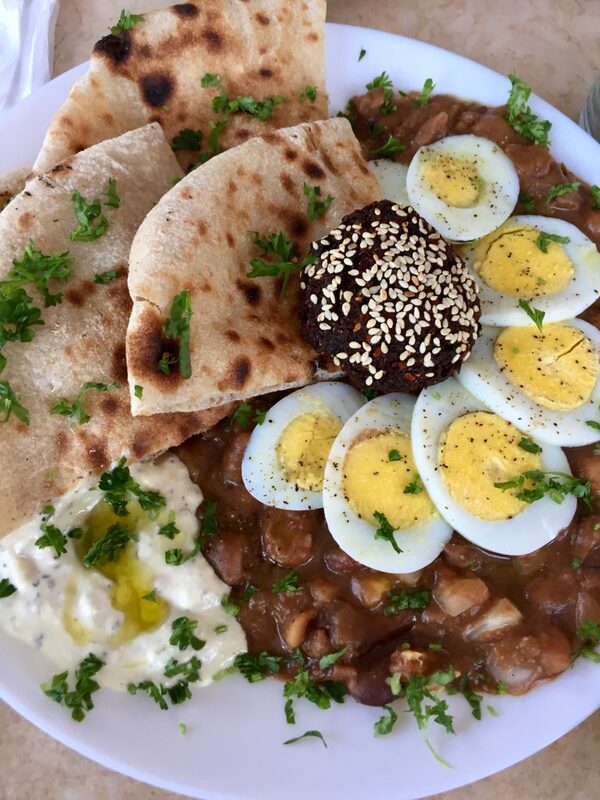 It was the best in the house, uniting foole (a stewy mélange of fava beans and spices), with tomatoes, onions and thinly sliced hard-boiled eggs and a falafel. Charred balady bread was perfect for soaking up every last drop of the foole. A sibling of the pita, balady is a flatbread that’s made with whole wheat flour in scorching-hot ovens in Cairo’s bustling markets. At Maha’s they prepare an incredibly authentic variety using a piping hot oven and a baking stone, giving it a faint charred flavour. C’était superbe! And the salata balady, much like a Greek salad, provided some healthy crunch. Basturma is to Egypt what prosciutto is to Italy. However, basturma is not unique to Egyptian cuisine. It’s a staple in Armenian, Lebanese and Turkish cuisines as well. In the Basturma Scramble ($14), crepe-thin air-dried beef accented with potent notes of fenugreek, garlic and Egyptian spices were added to a scrambled egg mixture. 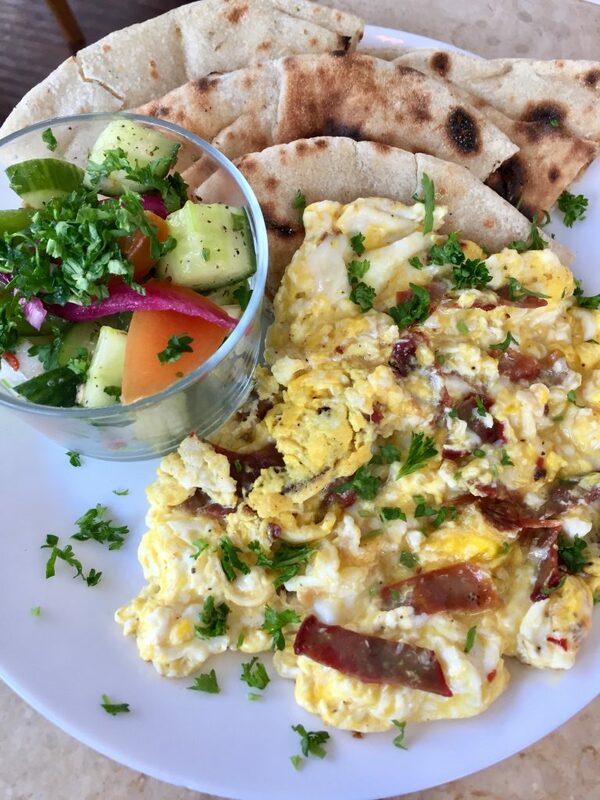 Le résultat: a savoury Egyptian scramble. Although trop salé, it was a satisfying combination. Like the Cairo Classic, this dish also came with a side of perfectly charred balady and salata. 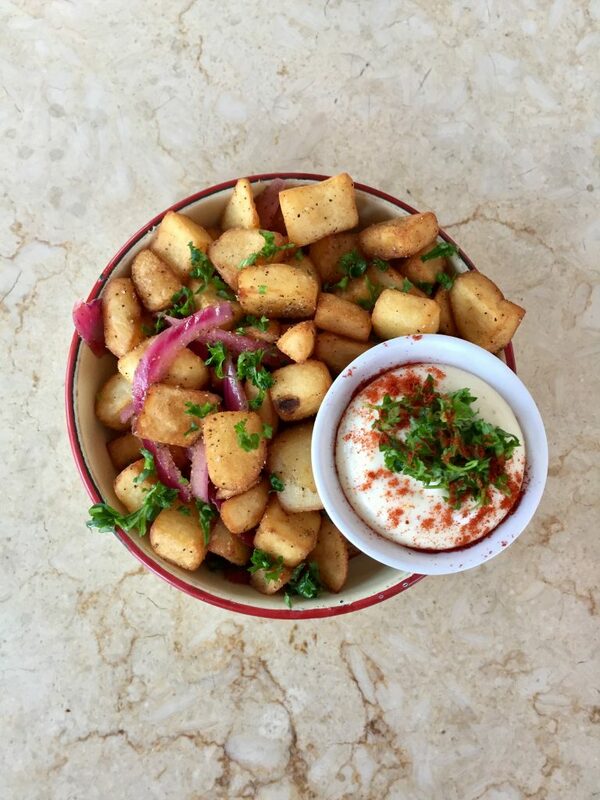 While eating our mains, we nibbled on some cumin home fries ($5) and Egyptian beet salad ($6). The cumin was an unpredictably pleasant twist for the taters, marrying Egyptian culture with a North American classic. 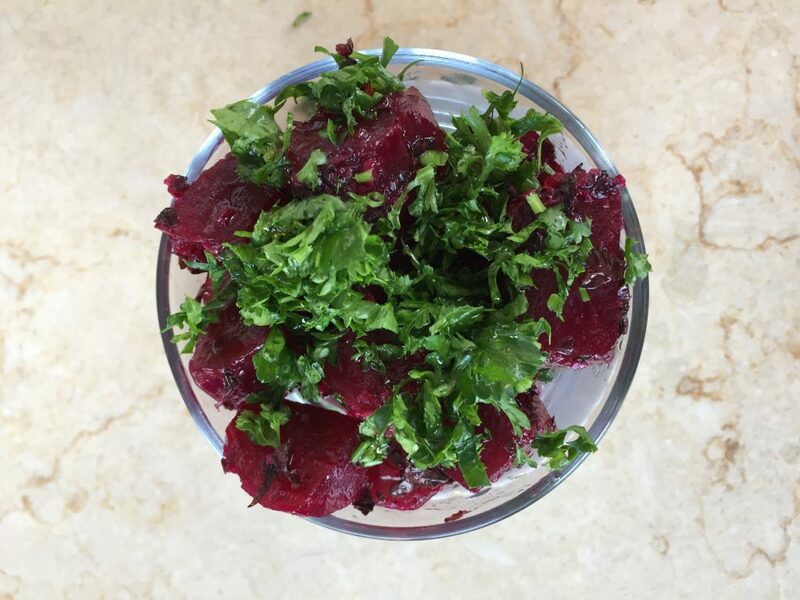 The beet salad was also fresh, but the olive oil and parsley mixture overtook the earthiness of the beets. Although I felt as I could make many of the dishes myself, nothing can replace the love that Maha Barsoom pours into her cooking. It’s the type of passion that’s pure Maha. 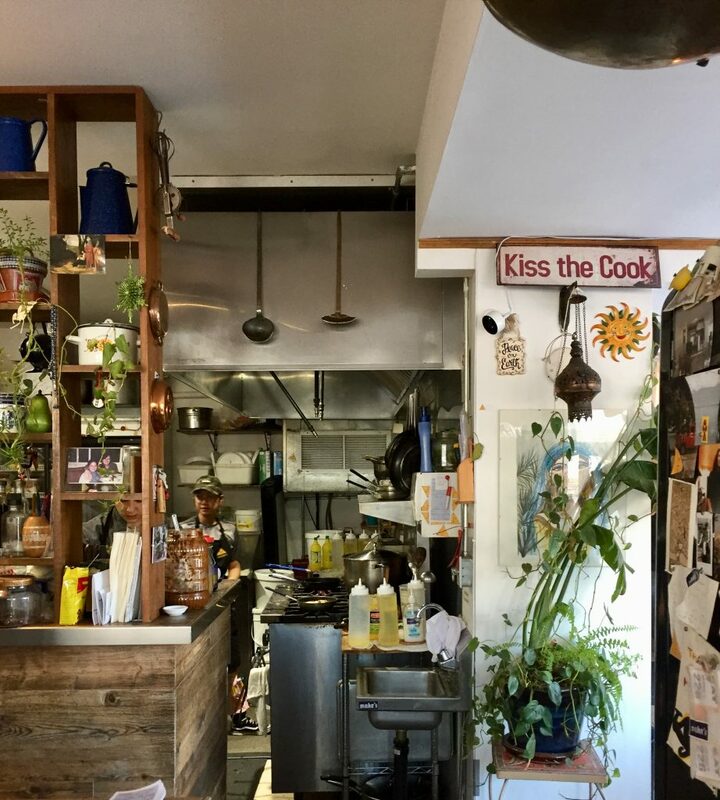 She’s had decades of experience perfecting Egyptian cuisine—and patrons inhale it faster than they can snap a selfie. For the overall experience, Maha’s is worth the wait. It creates more context for trending products 2018.